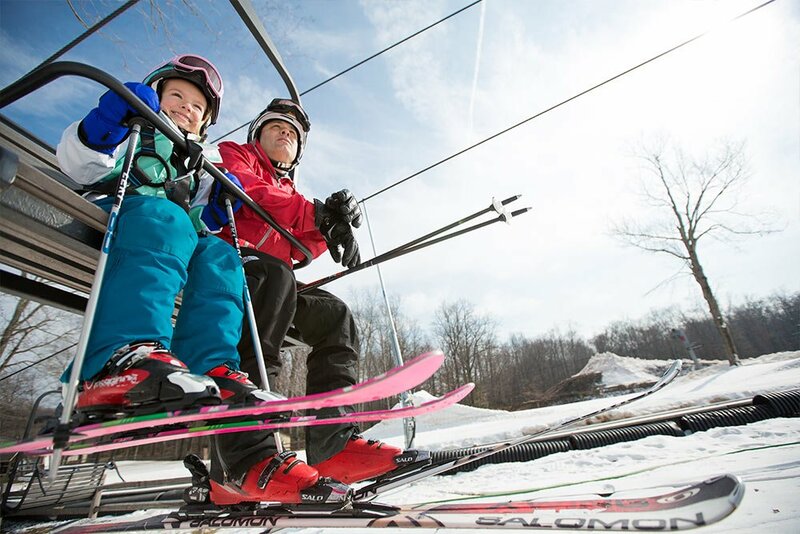 Lift Lyne was designed for one reason – to get everyone to the top of the mountain safely each time. 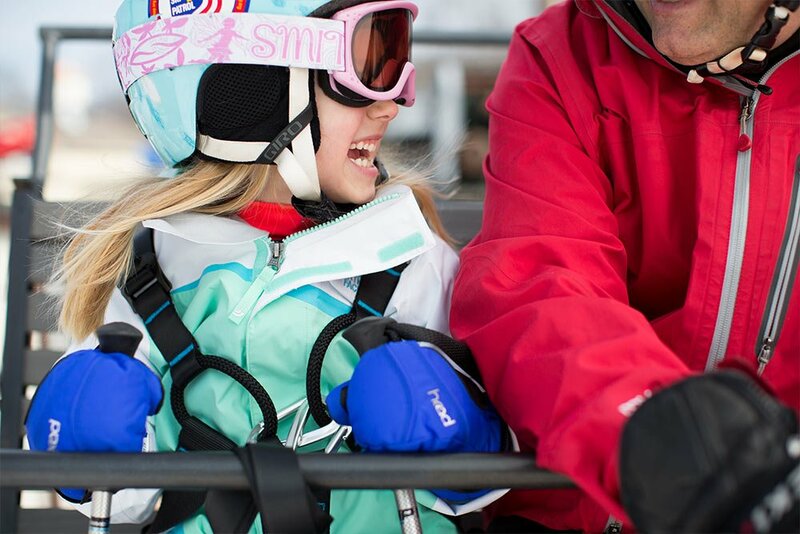 It is the only product on the market that secures the skier or rider to the lift. When you think about it, a chair lift is no more than a park bench hanging in the air, sometimes at sixty or even eighty feet. The safety bar is made to fit a range of sizes – so it doesn’t fit any one size perfectly; how could a bar that fits an adult at 6’4” and 230lbs also fit a child at 4’ and 44lbs? It doesn’t – almost anyone could slide under and never even touch the bar. Lift Lyne is there in case the worst were to happen and ensure your loved one or yourself makes it to the top. 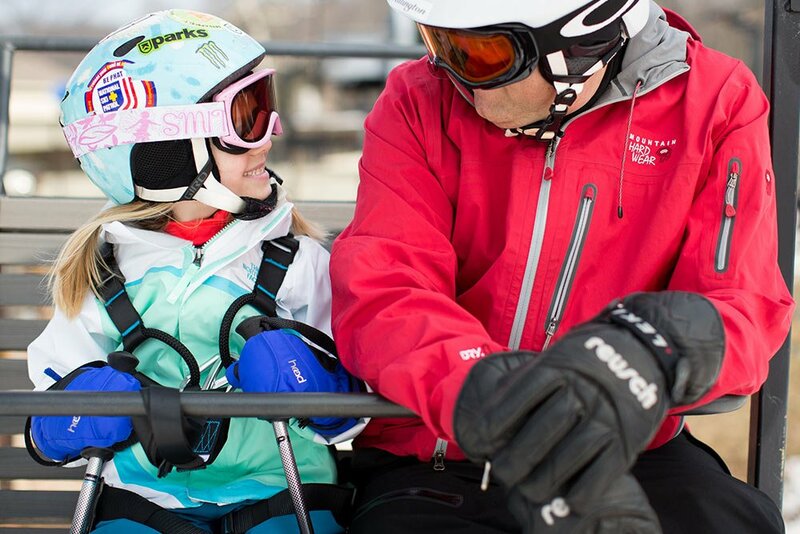 Our harnesses are custom built to fit either a child’s frame or an adult’s, and engineered to support the rider and all of their gear with ease if they slip from the lift. 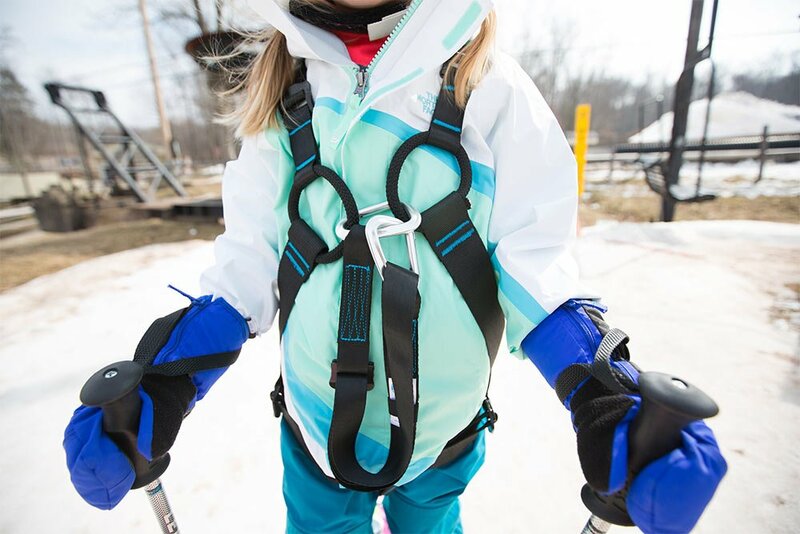 Lift Lyne is built from 100% polyester webbing, the same used in mountaineering and rappelling equipment, and the carabineers are aluminum, with a 2,500 lbs breaking strength. 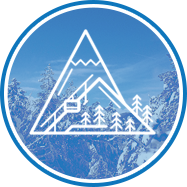 When your loved one is wearing a Lift Lyne you feel confident that they can explore the mountain and be safe doing so. It’s comfortable to wear, easy to use, and provides every wearer with peace of mind. Can Lift Lyne be worn below the jacket? Yes, the tether is designed to be adjustable so that Lift Lyne can be worn above or below the jacket. I’m a single dad to a single daughter – she is my world. 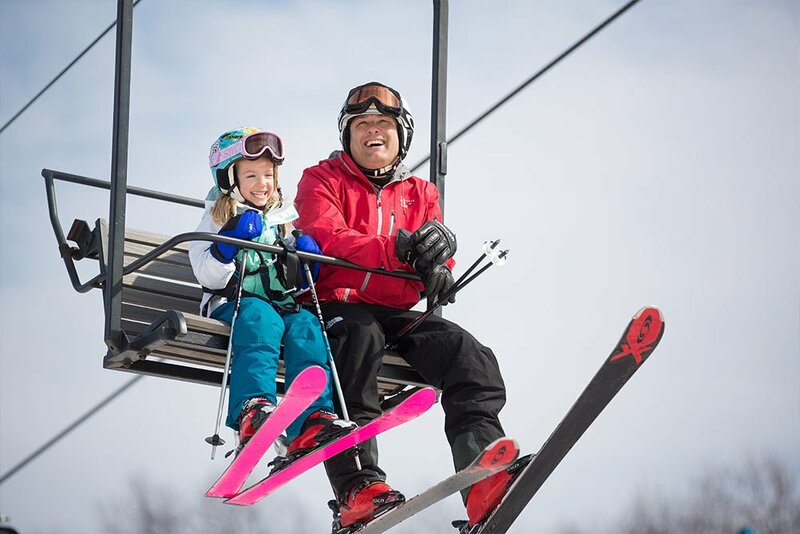 When she was six and learning to ski she would often get on the lift with the instructor and without me. Like most kids she is curious and loves to have fun with her friends – that means not always paying attention to the dangers around her. I feared that with the slightest distraction or wrong move at 80’ in the air she could easily slip below the safety bar on the lift and something awful could happen. It was a bit of a reality check and put a good scare in me. 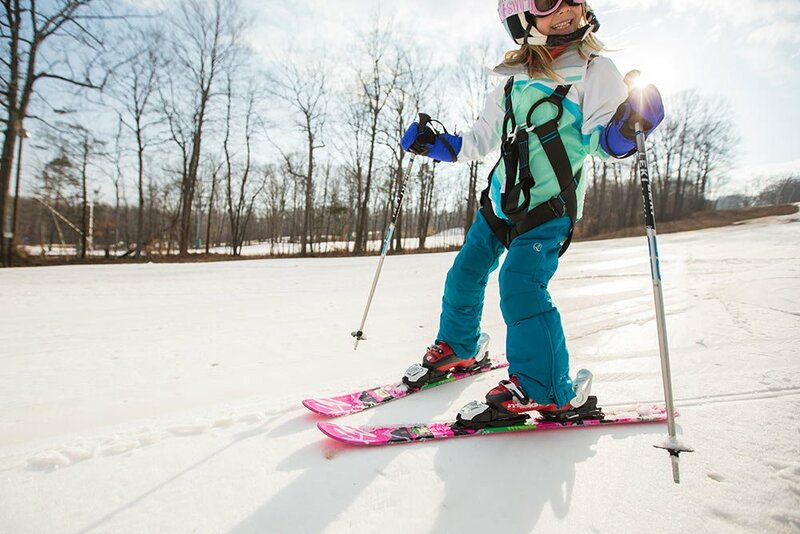 Skiing has always been a part of my life and I could not wait to share this with her, but there had to be a safer way. So I designed and tested a harness for her in my garage, and it worked perfectly. It was easy to use and if the worst case happened, she was secure. The first time she used it we had a great day on the mountain, and I was finally able to watch her get on the lift by herself without a lump in my throat. Countless people asked me what she was wearing and where they could get one. I made a few for friends with kids, who all had the same experience. That’s when I thought it might be an idea other parents would be interested in, so we created Lift Lyne. The rest, as they say, is history! 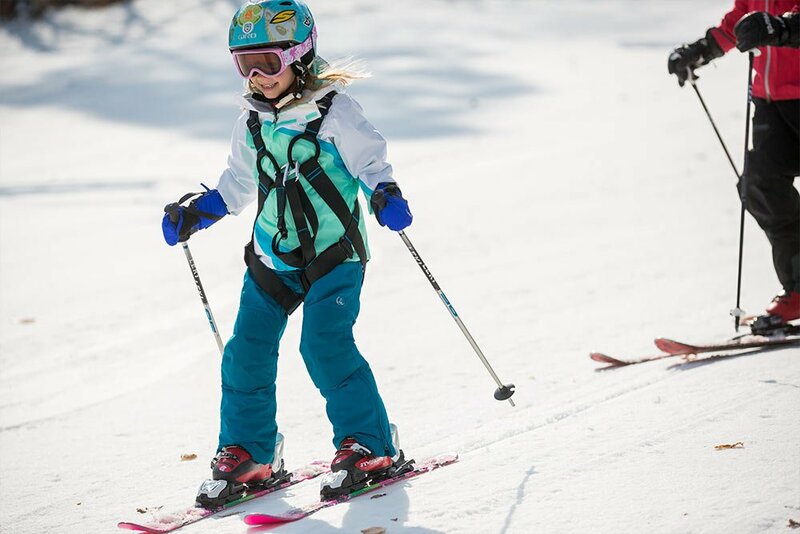 Thank you for taking the time to read our story, I hope to see you out on the slopes one day.